What Drives the Price of Aluminum? 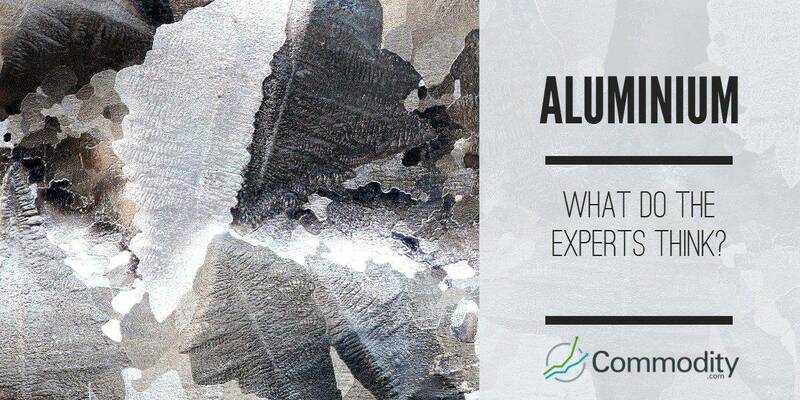 Aluminum is the most common element contained in the earth’s crust, but it is never found naturally in its metallic form. Rather, aluminum is a compound of other elements. In the early 19th century, Danish-chemist Hans Christian Oersted first extracted tiny amounts of the metal from ore. The complexity of this process led many to believe that aluminum was more rare than gold. In the late 19th century, however, scientific breakthroughs led to very efficient and cost-effective ways of extracting the metal. Today aluminum alloys are abundant and found in a variety of industrial and consumer products. Aluminum is produced through two methods: primary production and secondary production. Aluminum production begins with extracting bauxite, an ore found in the topsoil in many tropical and subtropical regions of the world. Chemists then produce the chemical compound aluminum oxide, also known as alumina, from bauxite using a method known as the Bayer process. Every two pounds of bauxite produces one pound of alumina. Through a process known as Hall-Heroult, aluminum producers smelt aluminum oxide and refine it into pure aluminum metal. Every two pounds of aluminum oxide produces one pound of aluminum. Secondary production of aluminum involves recycling scrap aluminum into new aluminum. The process uses less energy than primary production and is more environmentally friendly. Producers extract aluminum from waste streams and prepare to recycle it. Aluminum producers sort the scrap by its chemical properties. Scrap with one type of chemical composition has more value than scrap containing several alloys. After sorting, aluminum refiners place the scrap into melting furnaces and turn it into molten aluminum. The molten aluminum can be cast into two types of large slabs – ingots and billets. 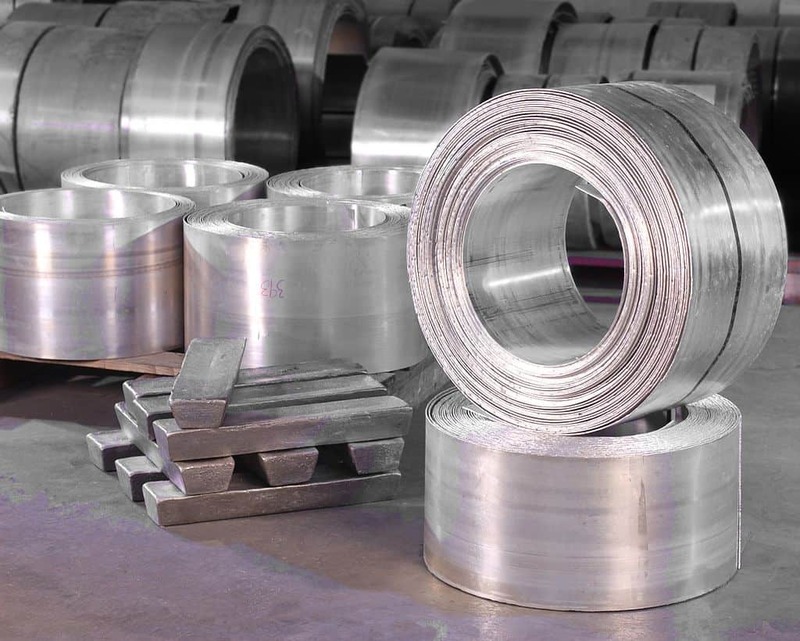 Ingots can be rolled into sheet aluminum, while billets can be extruded into different shapes. Global primary aluminum producers smelt about 60 million metric tons annually. Chinese primary producers account for more than half of the global supply of aluminum. 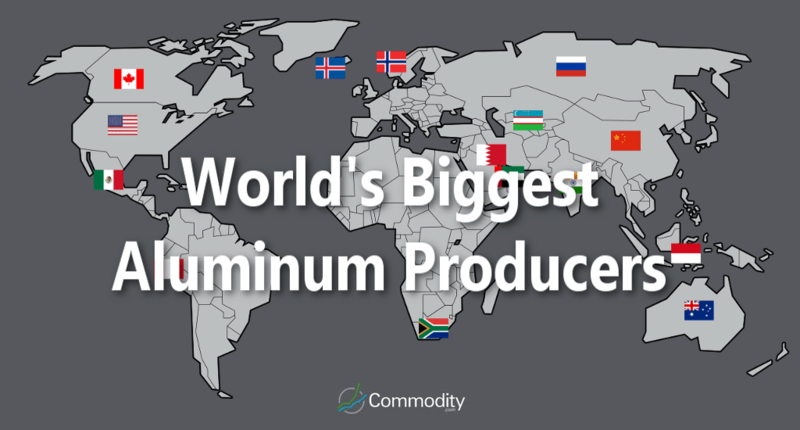 A map of the world, illustrating Primary Aluminum Production by country. Global demand for aluminum is concentrated in China where urbanization has created strong demand. China consumes about 40% of the global annual supply of aluminum. Japan, the European Union and the United States are the next largest consumers of the metal. Aluminum alloys are used in aircraft and rocket construction. Manufacturers package sodas and other beverages in aluminum due to the metal’s ability to cool down quickly. Hoods and other lightweight aluminum parts maintain fuel efficiency in cars. Aluminum is an energy-efficient and sustainable material. The vast majority of aluminum used in construction is from recycled materials. Aluminum is an excellent conductor of electricity and is used in electrical wiring. Appliances including washing machines, refrigerators and laptops use aluminum. Medicine packets, candies and TV dinners are a small sample of the items that use foil packaging. Solar panel nanotechnology and aluminum-air batteries are two new technologies that use aluminum. China uses over 40% of the annual global supply of aluminum and, therefore, is the biggest driver of its price. Strong growth in Chinese GDP over the past two decades has pushed many industrial commodity prices higher. Chinese companies have an increasing demand for aluminum in the packaging sector. Additionally, real estate, transportation, and the electronics sectors have all seen growth in their demand for aluminum. In the developed world, automobiles and aerospace are the most important markets for aluminum. The aluminum industry faces competition from lighter composite materials that seek to replace aluminum as a construction material. Carbon fiber materials, for example, account for a growing share of the aviation market. As composite materials make technological advances and become more affordable, demand for aluminum may wane. The construction and building markets represent the second largest industrial demand for aluminum. In developing countries, aluminum accounts for about 30% of building materials. Construction growth rates can be volatile. Interest rates, unemployment, and overall economic strength can affect demand and, in turn, influence the price of aluminum. The costs of producing aluminum can have a meaningful impact on its price. Aluminum production uses large amounts of energy in the smelting process. Changes in the cost of oil or electricity ultimately feed into the price of aluminum. In the case of recycled aluminum, the cost of scrap metal can also have a direct impact on prices for the finished product. The US currency is the world’s reserve currency and as a result, aluminum and other commodities are quoted in US dollars. Aluminum producers receive fewer dollars for their product when the US currency is strong and more dollars when the currency is weak. China produces and consumes a large percentage of the overall global aluminum market. The fast-growing Chinese economy has needed aluminum in recent years for construction, transportation and electronics, and Chinese companies supplied the metal. However, as Chinese GDP slowed, internal demand could not absorb the large supply, and Chinese producers increased exports of aluminum to the United States and other countries. If Chinese economic growth picks up, then the country’s demand for aluminum will grow. This could create a supply shortage and higher prices. The global economy depends on transportation to support growth. The market for aluminum in aerospace equipment and automobiles could grow as the global economy expands. Individuals need cars and trucks to travel to work. Pro-growth policies in industrial and emerging economies should boost demand for aluminum in transportation products. Investing a portion of a portfolio in aluminum along with other metals and other commodities, in general, is a way to achieve asset diversification.Baskets of commodities including aluminum insulate traders from declines in any one particular commodity. Investing in aluminum is a way to bet on a global growth boom. Both developed and emerging countries will need aluminum for transportation and construction projects in the years ahead. If growth accelerates in both the emerging and developed world, then there could be fierce price competition for industrial commodities such as aluminum, and prices should respond favorably. The Chinese have a recent history of overproducing commodities and dumping them on global markets. If internal demand for commodities does not pick up in China, then markets might suffer from a glut of aluminum supply. Aluminum faces serious competition from composite materials. Technological innovations have created products that are light-weight and priced competitively. If these advances continue, then aluminum prices could suffer. There is one way to trade aluminum that is superior in many ways to the alternatives discussed in this guide. 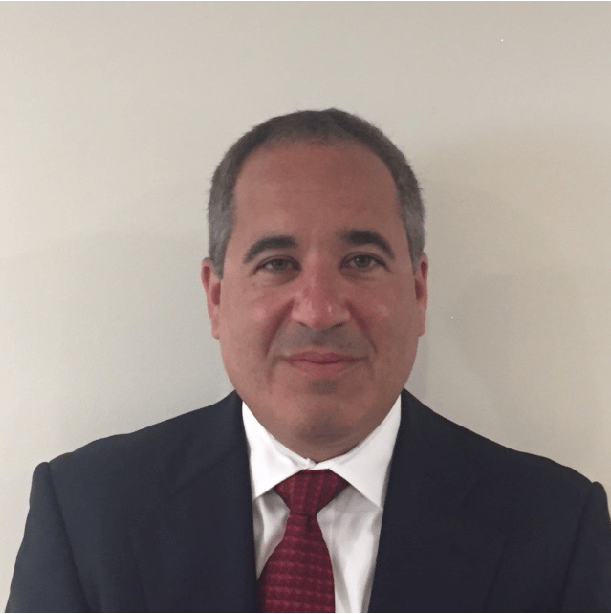 Through a derivative instrument known as a contract for difference (CFD), traders can speculate on aluminum prices without actually owning physical aluminum, mining shares or financial instruments such as ETFs, futures or options. Many regulated brokers worldwide offer CFDs on aluminum. Customers deposit funds with the broker, which serve as margin. The advantage of CFDs is that trader can have exposure to aluminum without having to purchase shares, ETFs or futures. Traders also don’t have to worry about getting the timing and size of markets move correct in order to profit on their trades – like they would trading aluminum futures. CFDs are still high-risk financial instruments however and your capital is at risk so you should be an experienced trader or seek out a broker that offers a demo account to allow you to develop your knowledge in advance of risking real money. Start Trading at Markets.com Important: Your capital is at risk. CFD services are suitable for experienced traders only.